New York: New York Mayor Bill de Blasio declared a public health emergency in parts of Brooklyn recently, ordering all residents to be vaccinated to contain a measles outbreak concentrated in the ultra-Orthodox Jewish community. The order concerns all people living or working in four zip codes of Williamsburg, northwest Brooklyn, where some residents oppose vaccines on religious grounds — although neither Jewish texts, nor local Jewish authorities advise against vaccination. “It was time to take a more muscular approach,” De Blasio told a news conference as the emergency measures were announced. 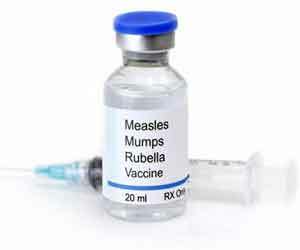 Under the new rules, anyone who has not received the measles-mumps-rubella (MMR) vaccine or does not have evidence of immunity risks a fine of USD1,000, said a statement from the mayor’s office. Like most American states — all but three, including California — New York requires a series of vaccinations for school-age children but has until now granted exemptions on both medical and religious grounds. Since October, however, 285 cases of measles have been confirmed in New York City. None proved fatal, but 21 patients required hospitalisation and five were admitted to intensive care. “I urge everyone, especially those in affected areas, to get their MMR vaccines to protect their children, families and communities,” de Blasio said in the statement. The so-called anti-vax or anti-vaxxer phenomenon has adherents across Western nations but is particularly high profile in the US, where it has been fueled by disinformation on social media. Experts insist vaccines are safe and necessary to protect the larger community from highly infectious diseases like measles, which can cause severe diarrhoea, pneumonia and vision loss and can be fatal in some cases.